HomeFeaturedElection express: New trains, more lines likely in rail budget. Election express: New trains, more lines likely in rail budget. 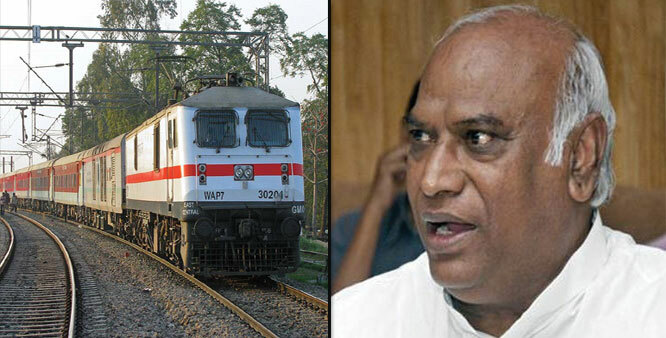 Mallikarjun Kharge to present railway budget today, With his party facing a tough Lok Sabha election and the railways under huge financial stress, minister Mallikarjun Kharge will try to do a balancing act in meeting populist demands such as cut in passenger fares and announcement of new trains while restoring the financial health of the state-run transporter in his interim rail budget on Wednesday. There are indications that passenger fares may not be touched barring minor changes in a few segments in the first rail budget to be presented by Kharge. As this is an election year, the minister may announce some rail connectivity and factory projects for backward states along with giving new trains in states where Congress is facing a tough electoral fight.